Wow! Wow! Wow! 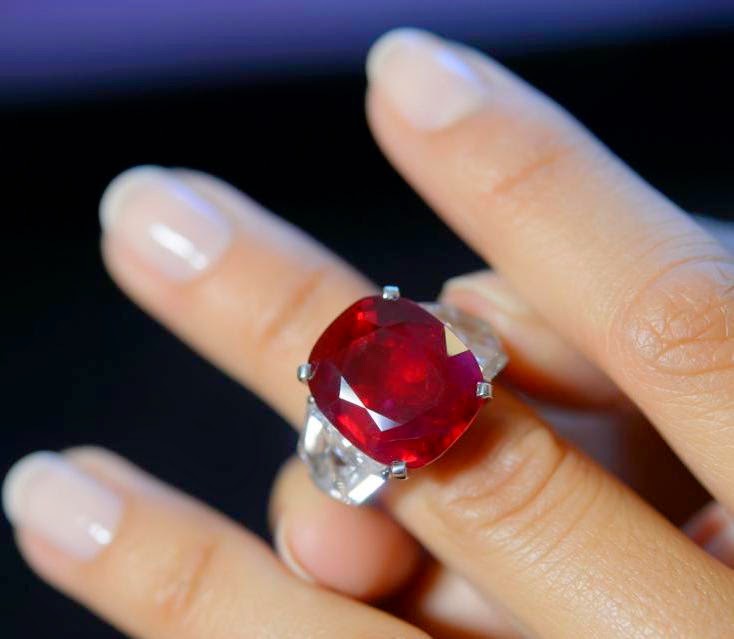 This is one of the most beautiful Rubies to have surfaced in the recent years at an auction and needless to say, the Most Expensive Ruby in the World! A perfect Pigeon Blood Red, Burmese Origin, exceptional clarity & huge 25.59 carats size! I don't think we have seen another ruby like this of this size in the recent years. This deserved a record-breaking value & it is exactly what it got. 25.59 carats of breathtaking beauty sold at a 300% premium at US $30.3 Million! That is over $1.17 Million per carat! The most valuable Ruby ever sold. The most expensive stone by Cartier. 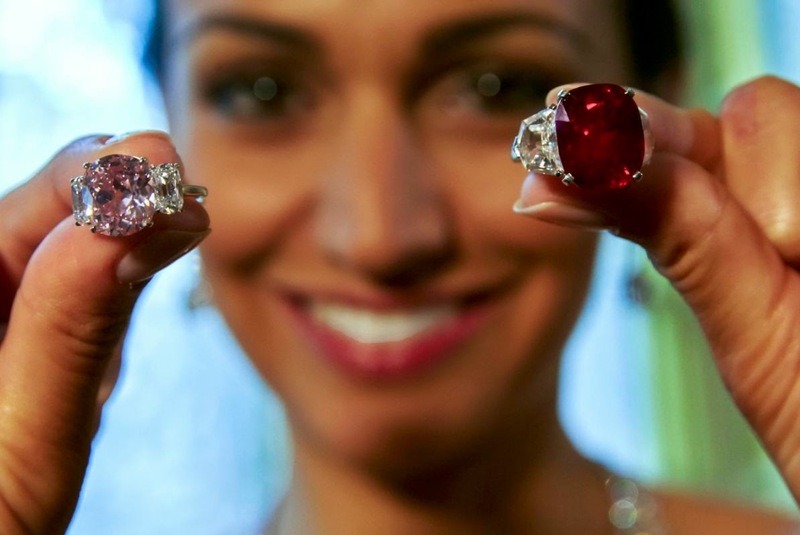 The highest per carat Ruby valued ever. Needless to say, it is a natural unheated Ruby set in Platinum with 2 diamond accents weighing 2.47 carats & 2.70 carats respectively. A pink diamond ring once owned by Princess Mathilde Bonaparte, the niece of Napoleon I, sold for $15.9 million. Model showing the Pink Diamond & the Ruby side by side.